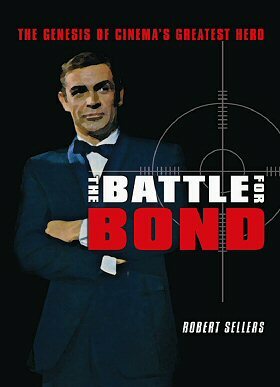 Yesterday, CommanderBond.net reported that The Battle For Bond by Robert Sellers was having it’s sales suspended by Tomahawk Press due to a conflict with the Ian Fleming Will Trust. This is not a surprise, really. In fact according to Robert Sellers in a September 2007 interview with CBn, a lot of publishers actually turned down the opportunity to publish the book for fear of legal action by Eon Productions and/or the Fleming trustees. Details are rather sketchy at the moment so it is unknown if The Battle For Bond will somehow pull through in one form or another. It’s not the first book to be slapped by the Thunderball curse (™). John Pearson’s The Life of Ian Fleming was hit by Kevin McClory for alleged parts of the biography that were untrue that involved Thunderball. Future editions were said to have been altered because of which. The same could occur here in a possible second edition (and this is very much speculation) with the offending material removed – if that’s at all possible.